A Finra arbitration panel has ruled in favor of three former UBS brokers seeking the expungement of customer complaints related to the sale of Puerto Rico bonds and closed-end funds, according to an arbitration award document released by the industry’s self-regulator. In a suit filed in 2015, Alexandra Amador, Carlos Caban, Warynex Carlo, Pedro Martinez Parsi, Jorge Medina, Angel Morey-Noble, Jorge Pesquera, Alberto Rosario and Jose Zorrilla originally requested expungement as well as no less than $30 million in damages from UBS, claiming breach of duty, fraud, unjust termination and more, according to the award. The company had settled with its former brokers by July 2017, according to the award document, which does not provide details on the settlement. Meanwhile, the brokers requested the file stay open so that they could continue seeking expungement, Finra says. But by March 2018, only Morey-Noble, Zorrilla, and Caban were still seeking expungement, while the other brokers withdrew their requests, according to the award document. 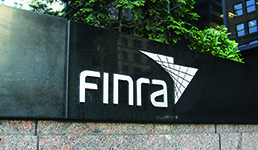 The Finra panel ruled last week in favor of expunging 28 of the 30 customer complaints against the three brokers, the regulator says. UBS did not oppose the expungements, according to the award. Cases related to the market for Puerto Rico bonds, which collapsed in 2013, have been making their way through Finra arbitration panels. In July, a Finra panel ordered Wells Fargo Advisors and one of its representatives to pay $8.6 million to the former head of OfficeMax over allegedly inappropriate investments in the bonds. In June, another Finra panel ordered UBS to pay $4.3 million over the bonds, and the firm lost at least two Puerto Rico bond-related claims worth over $13 million in 2017, according to regulatory documents.